It is always a pleasure to look at the face of an expat or foreign tourist after ordering the first time papanași: This king-size doughnut building of the Carpathian Mountains, nearly impossible to eat all alone after an already abundant meal with plenty of meat. Papanași - this accumulation of calories - is the mother of all Romanian desserts, a fried pastry usually filled with a cottage or soft cheese and covered with sour cream and jam. The word papanași comes probably from the Latin papa or pappa, an onomatopoetic word for food used by children. These cheese dumplings have its origin in the Austro-Hungarian Empire and have been adapted in the Molodova region of Romania. Its characteristic is that the smaller piece of dough is placed on top of the doughnuts, almost like a hat. Together with the smoothness of cream and the sweetness of fruit jam, papanași can be a real culinary surprise. 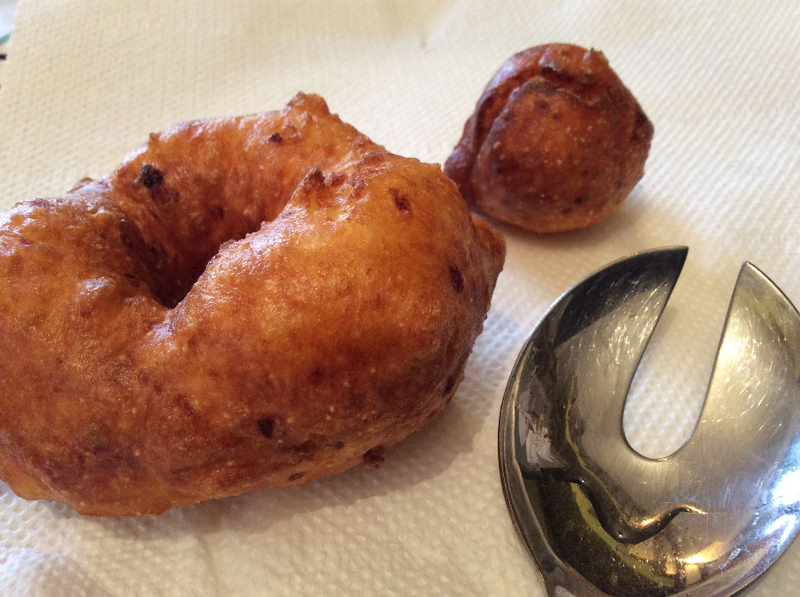 Unfortunately, most of the restaurants use dough that contains too much flour, which makes the papanași too fatty when you fry them. Quantity goes before quality. The secret of good papanași is the right density of the dough, which depends very much on the cheese and the quality of the sour cream. Today, I will prepare a papanași recipe that is very close to the original one. I only use cheese and sour cream from local producers and homemade jam. 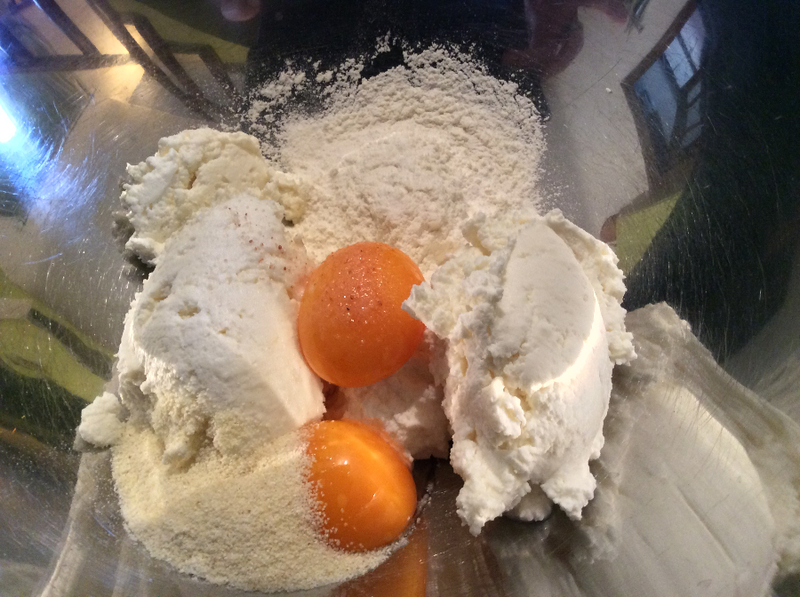 (1) Mix together in a large bowl the cottage cheese, egg yolk, flour, salt and baking soda (and the lemon or orange zest if you want to add a bit of citrus flavor). 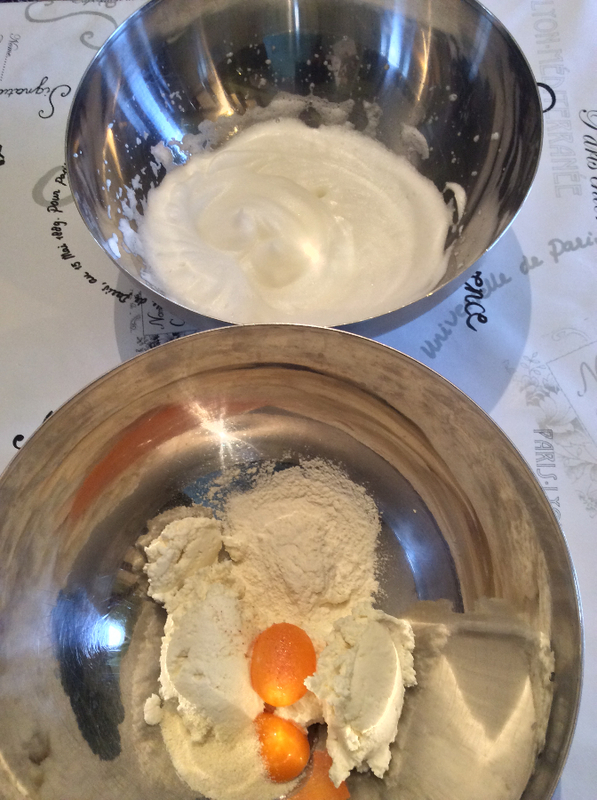 (2) Whisk the egg whites until they are at the soft peak stage and fold into the cheese mixture with a large spoon. The dough has to be easy to handle, not too sticky. 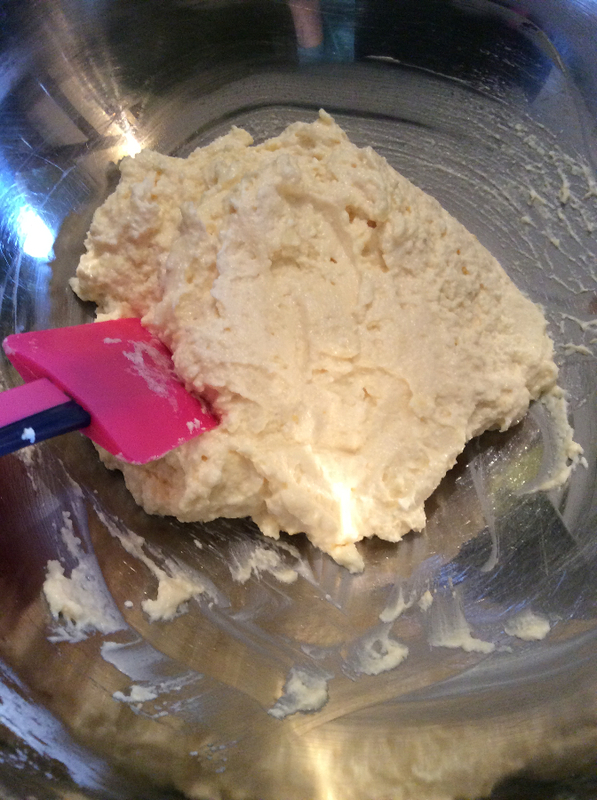 (4) Make small balls of dough, a size that would fit in your hands. 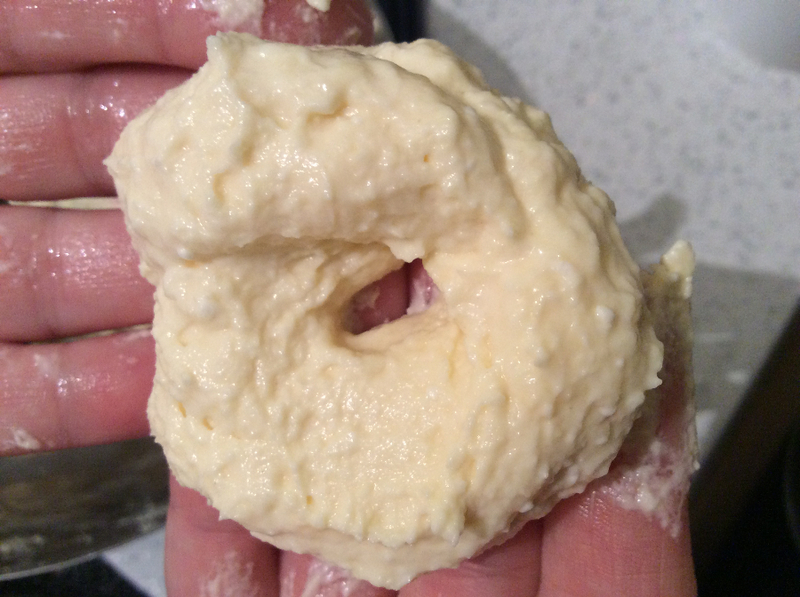 Make a whole through the center of it with your finger and spread a little bit of flour on it. Enlarge carefully the whole. Roll small balls of dough, bigger then the whole in the dough, to put on the top in the end. 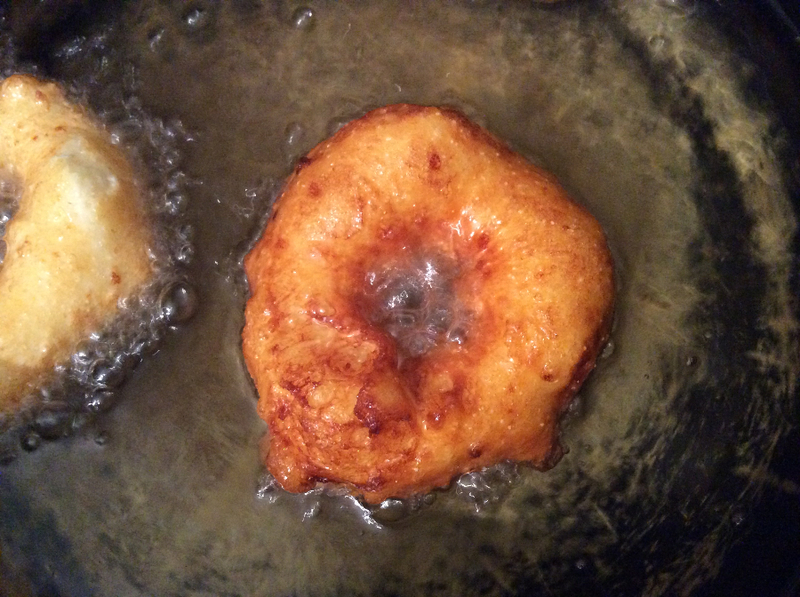 (5) Fry them in hot oil on both sides until they get brown. The oil must have the right temperature – not to hot, otherwise you will burn them on the outside and will be uncooked on the inside. (6) To assemble: put the papanași on a plate, fill the hole with sour cream, add some jam. Then add the small ball on the top. You can add some more sour cream on top with a little bit of jam and mint or rose geranium. Serve immediately.